There are plenty of reasons that fixed interior solar screens in Charlotte and the surrounding areas of North Carolina are gaining such popularity, and it is up to our team at Sweet Shutters and Shades to help you better understand why. Homeowners are always seeking out new ways to better address inconveniences around their home, including details concerning their window coverings. One of these ongoing issues has always been how to deal with direct sunlight and glare. When we meet with you, for your free in-home consultation, we can better help you understand all of your options for window treatments, including our great selection of solar screens in Charlotte. We make the process easy, by bringing the showroom to you. This also helps you gain a better comprehension of how your options will look or impact your home directly. You can have peace of mind knowing that our team is familiar with every facet of the industry, inside and out. The owner of our Charlotte shutter company, Diane Sweet, has over 20 years of experience in this line of work. If you have a problem or request, for your customized window treatments, our job is to deliver what you need. These screens are installed, by a trained industry expert, to the interior of your windows. Their main job is to help reduce UV damage and lower solar heat gain. This helps you protect your flooring and furnishings from UV damage and also makes it possible for you to lower your monthly energy bills. Plus, having a more energy efficient dwelling means you have a more eco-friendly home. Another benefit to this approach is that you still retain an unobstructed view from your windows. Not to mention, this doesn't take away your natural light transmission. Many homeowners love the look, feel and warmth of natural sunlight, without all the damaging side effects. 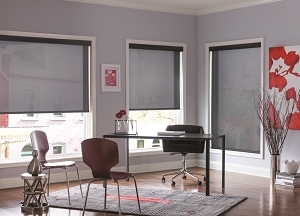 These screens are available in a variety of materials and we can review with you the benefits of each style. It is as important to select the right type of solar screen as it is the perfect window treatments. 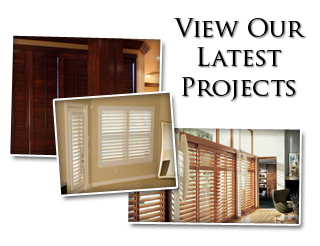 Let Sweet Shutters and Shades work with you to create the perfect combination to produce your ideal window coverings. You are going to love the possibilities that interior solar screens offer. Get in touch with our industry experts right now and let's start discussing all of your possibilities. 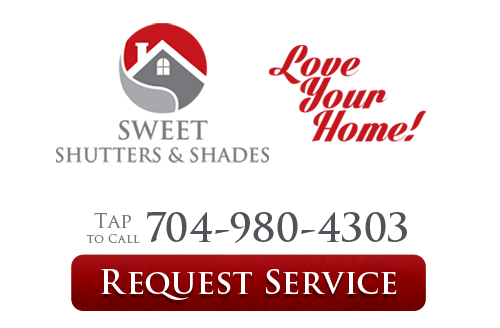 If you would like an estimate for fixed interior solar screens in Charlotte, NC or the surrounding areas, please call Sweet Shutters and Shades at 704-980-4303 or complete our online request form.